On Wednesday, Sept. 14, 2016, District Attorney Joseph D. Early, Jr. hosted a Gang Summit, attended by more than 50 local officers, to help police learn to address gangs and gang crime. 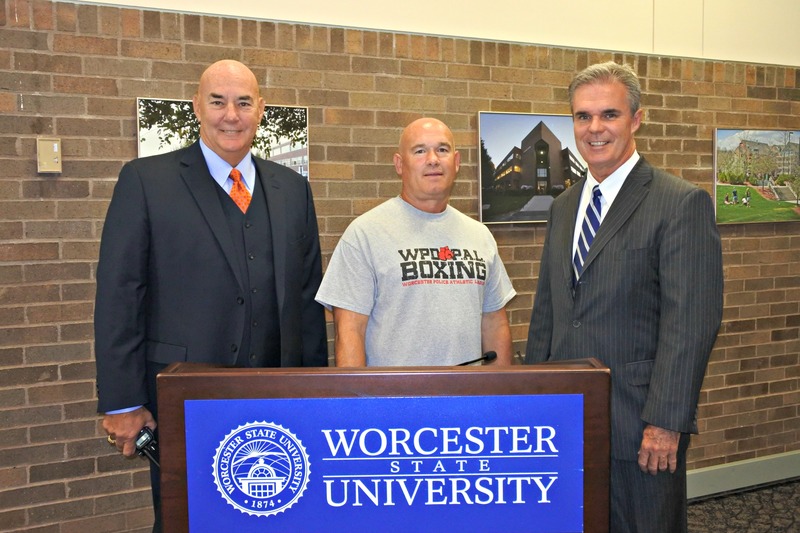 Presenters included ADA Tim Westerman, the Worcester Police gang unit and State Police. 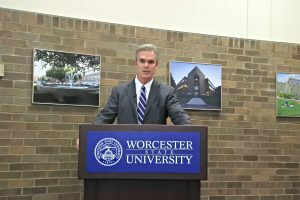 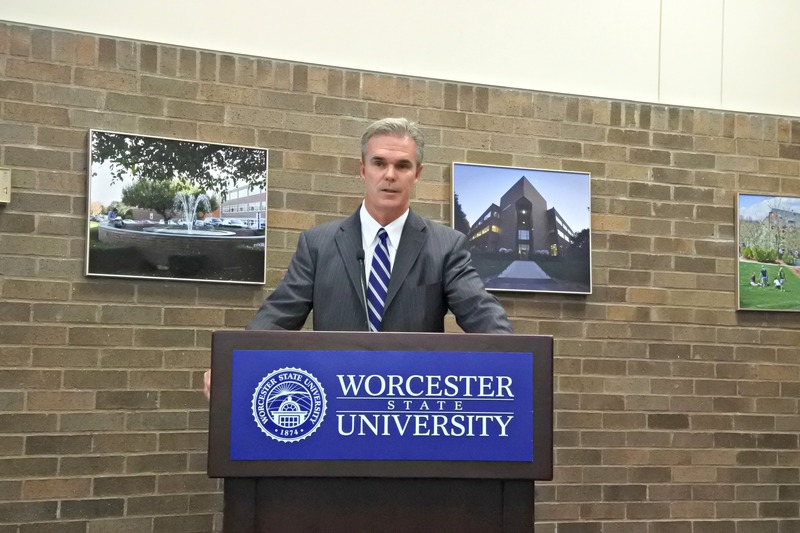 Worcester State University hosted the summit. 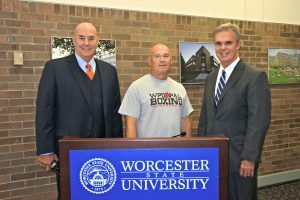 District Attorney Early with Worcester State University Chief Michael Nockunas and Worcester Police Sgt. 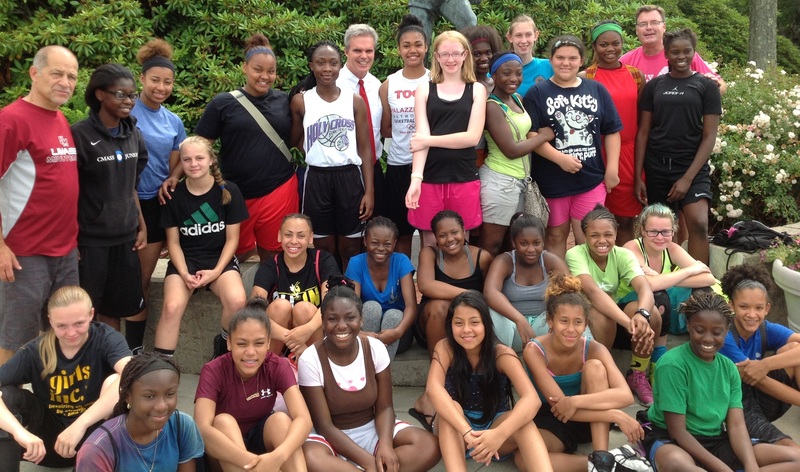 Steve Roche at the Gang Summit. 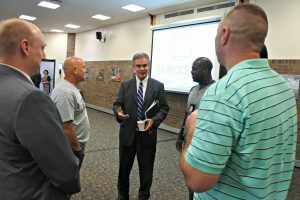 District Attorney Early speaks with local police officers attending the Gang Summit. 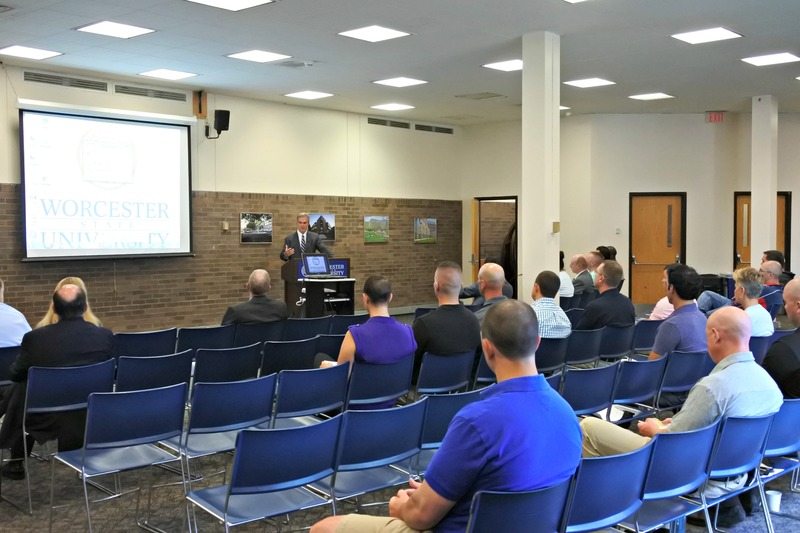 More than 50 area police officers attended the Gang Summit. District Attorney Early speaks with members of the Worcester Police Department Gang Unit before the Gang Summit.